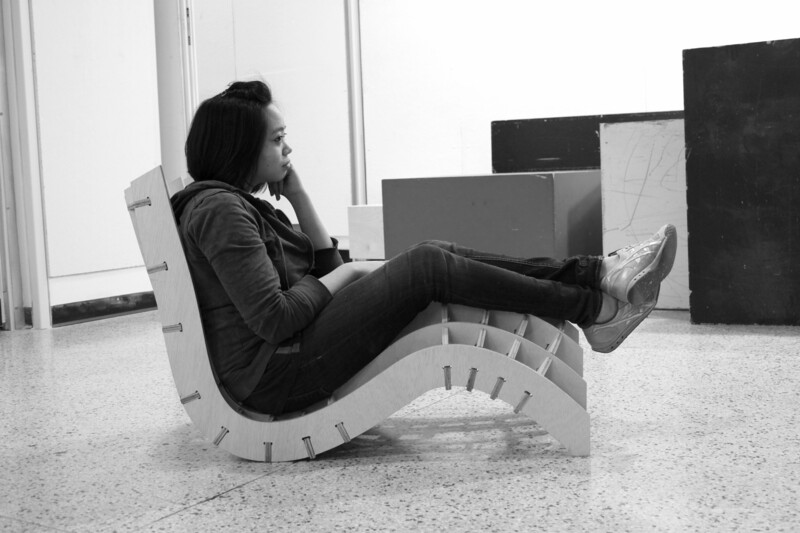 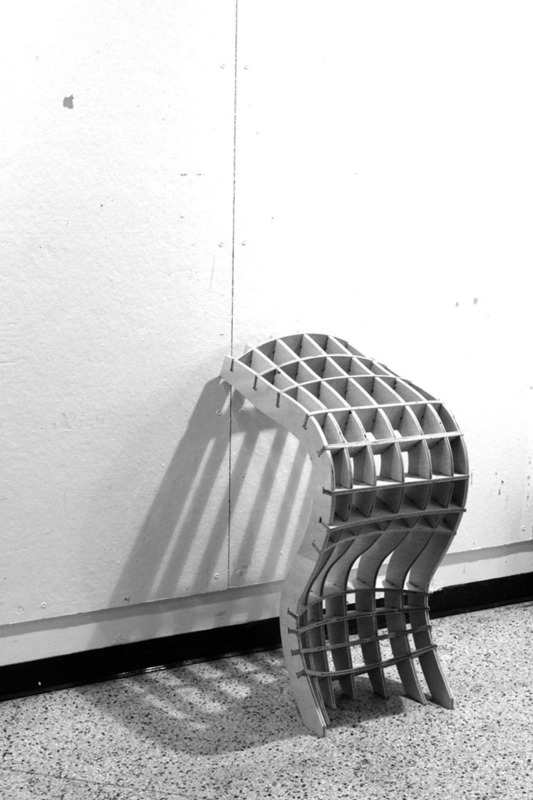 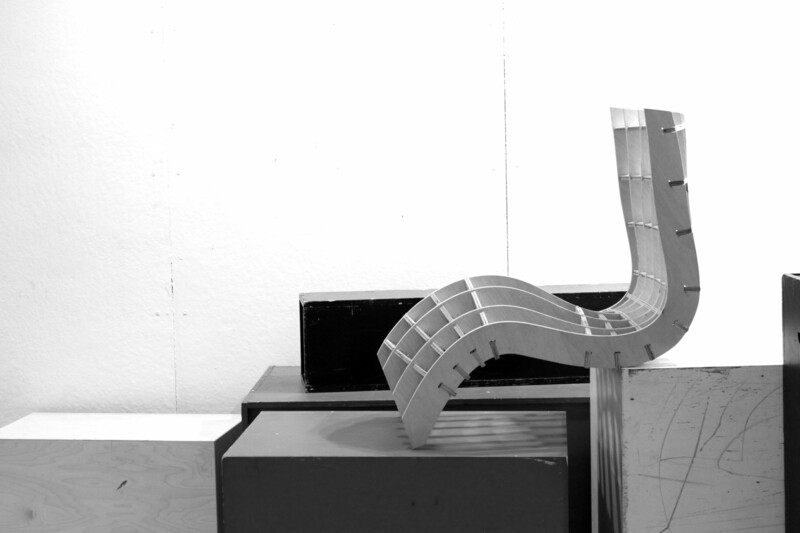 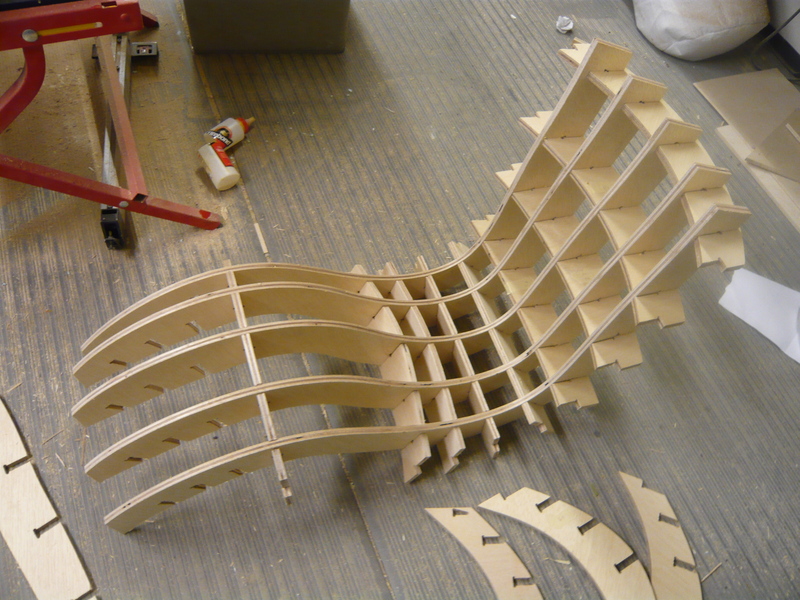 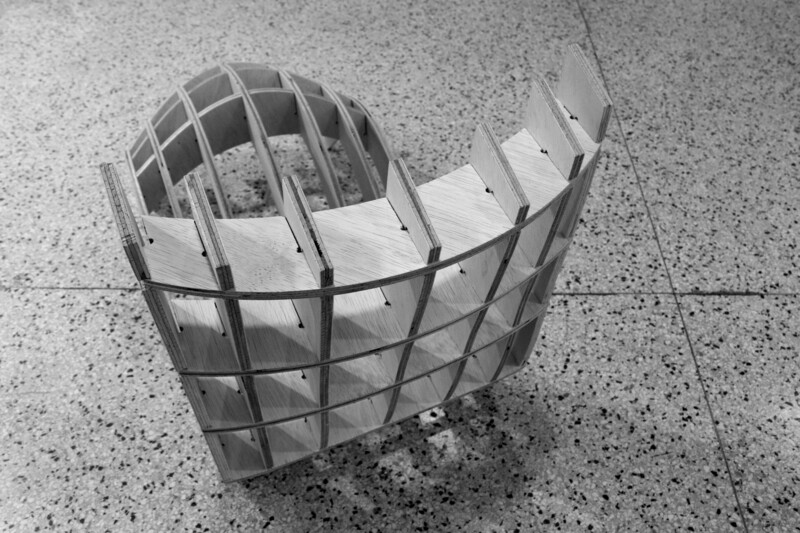 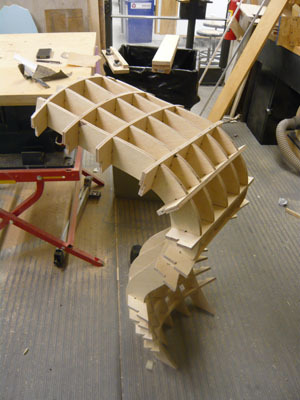 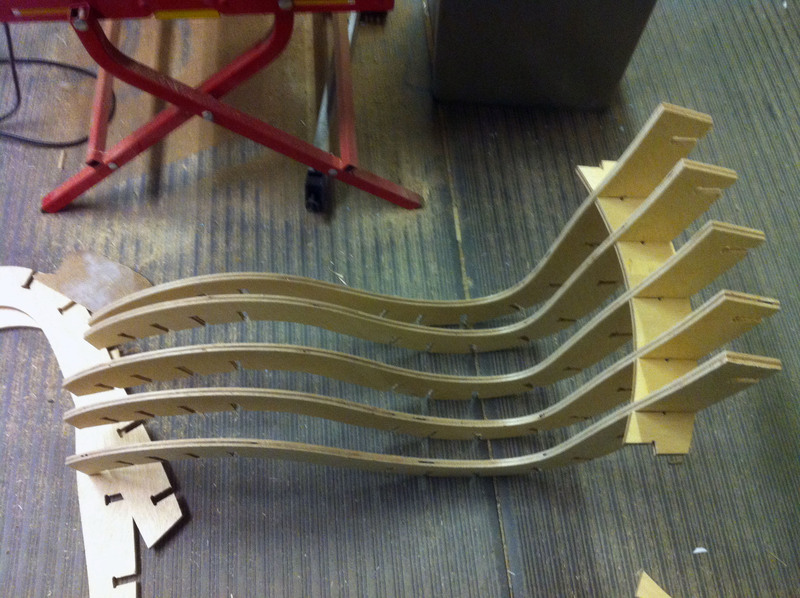 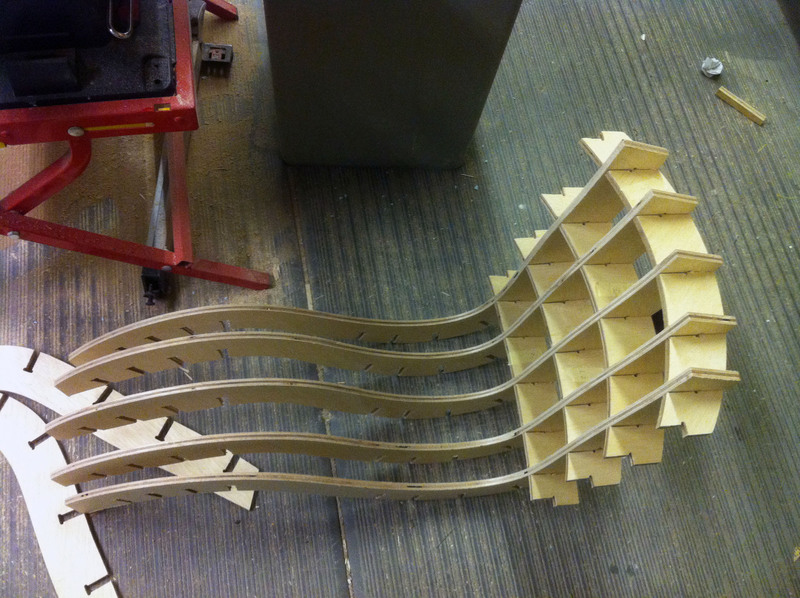 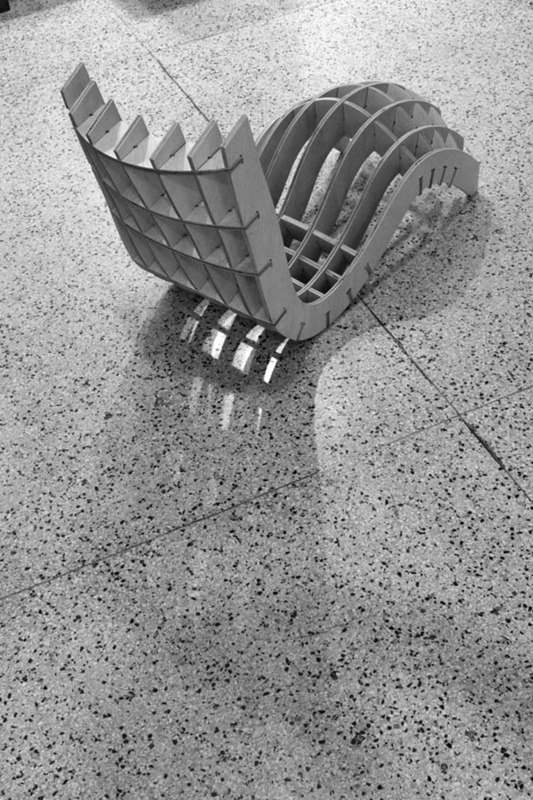 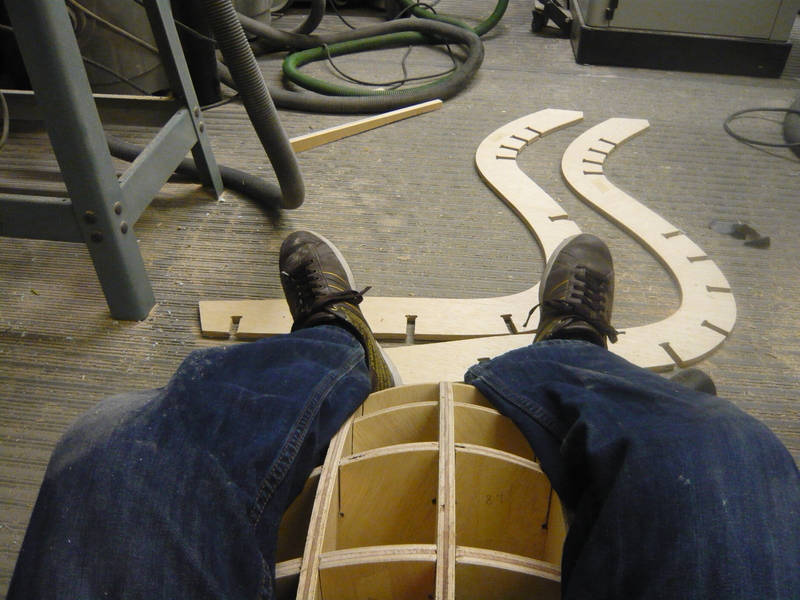 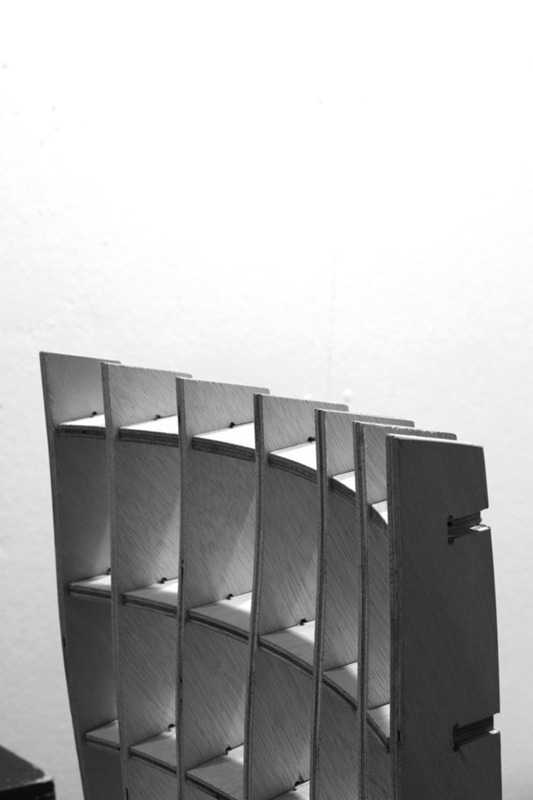 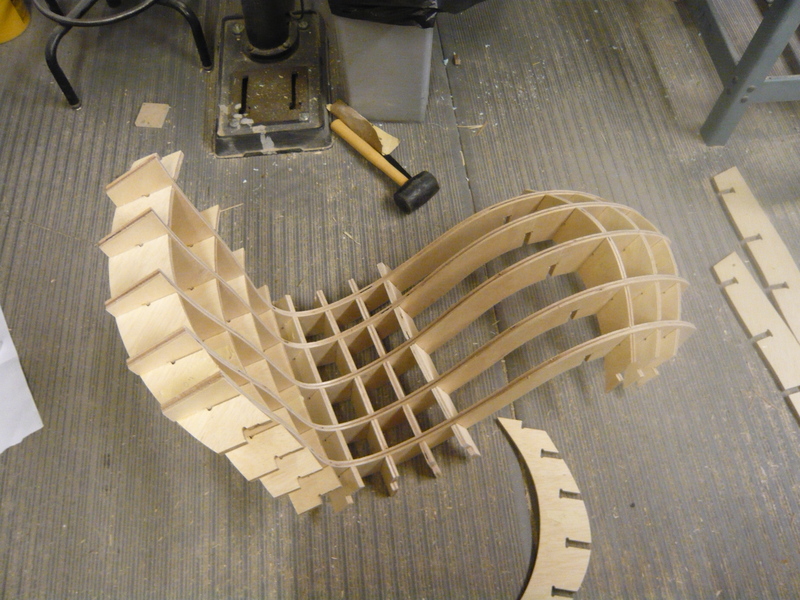 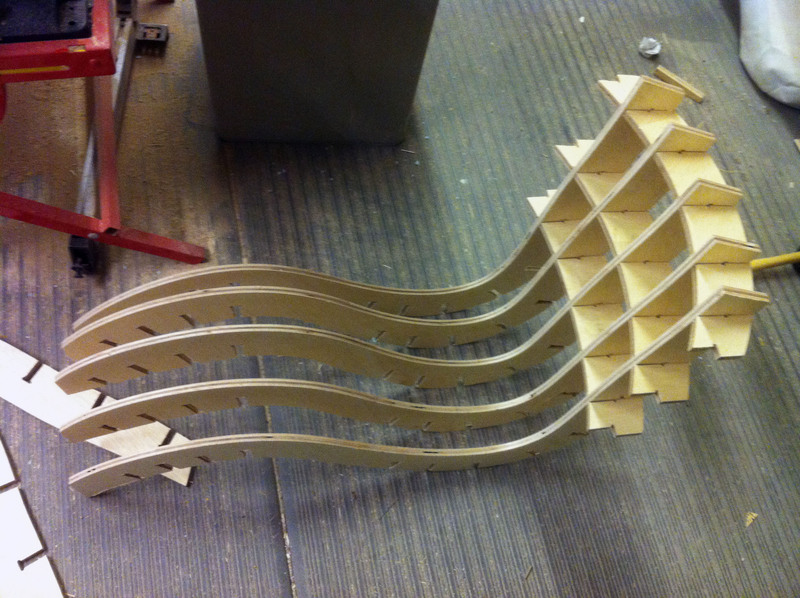 At the stage, the CNC-cut plywood pieces were sanded down, manually processed and assembled in sequence. 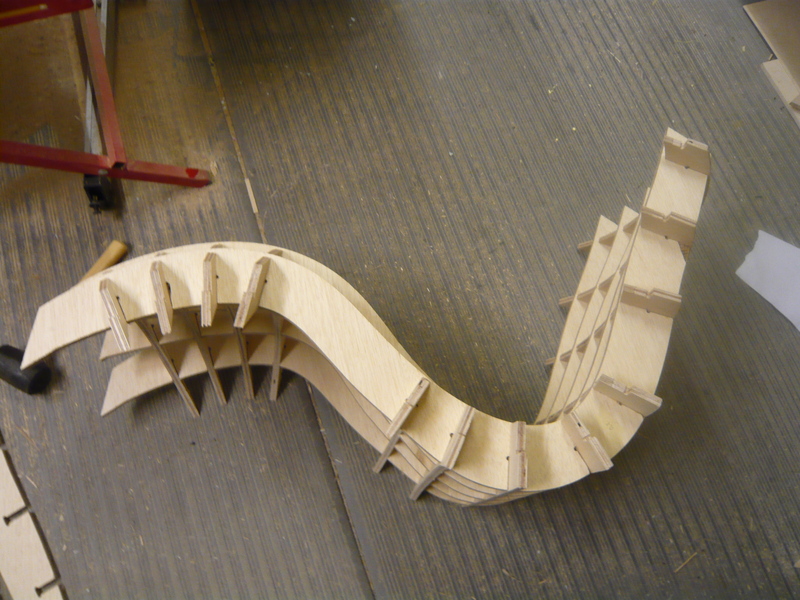 Assembly logic labelled in Rhino. 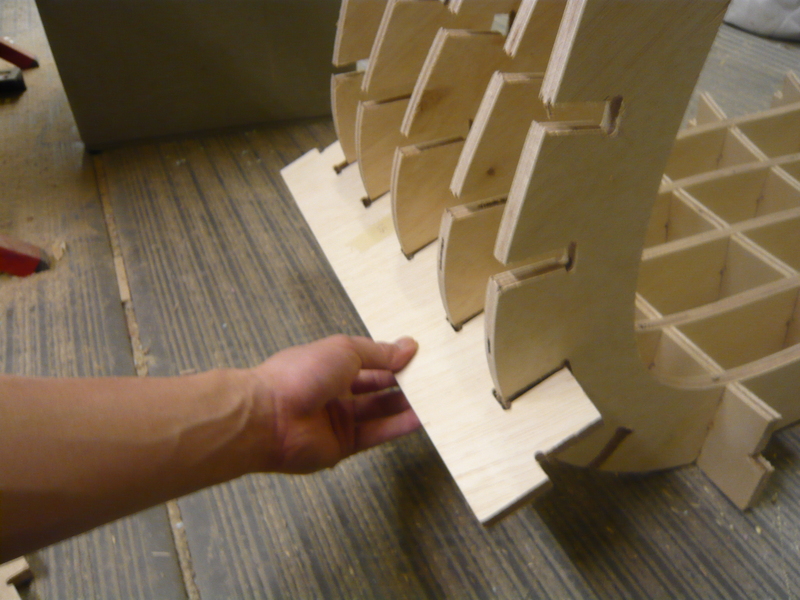 Post-CNC notch cuts using the band-saw. 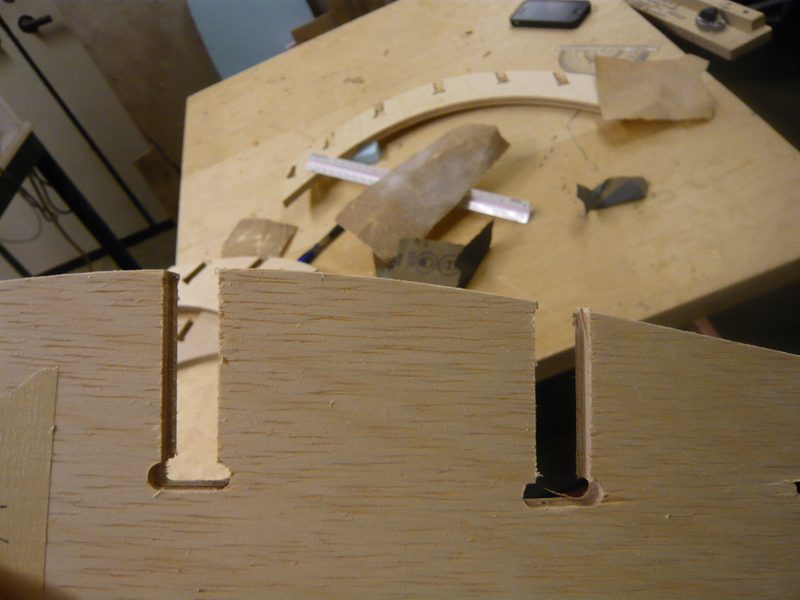 Since the script gave too much of a tolerance, I purposefully left the tips of the notches curving in to maintain tightness around the outer cut-edges. 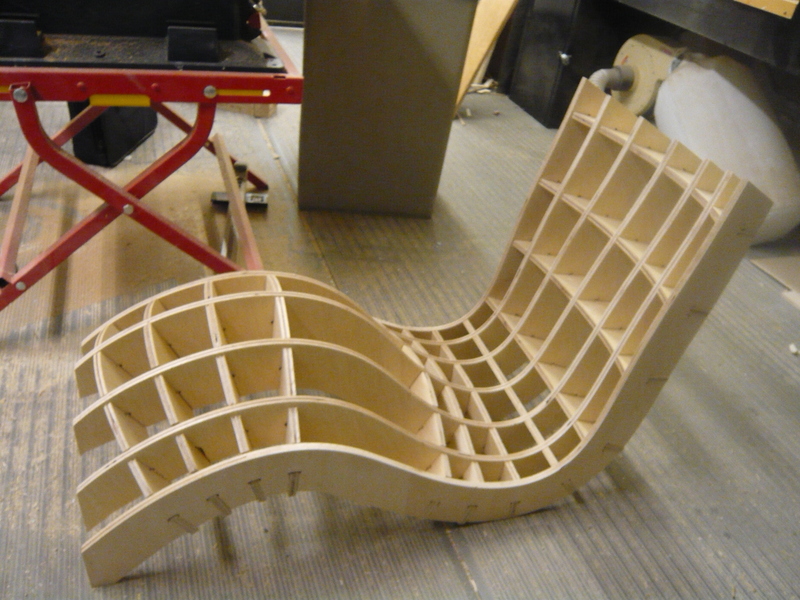 Assembly started from the top, flatter, section of the chair. 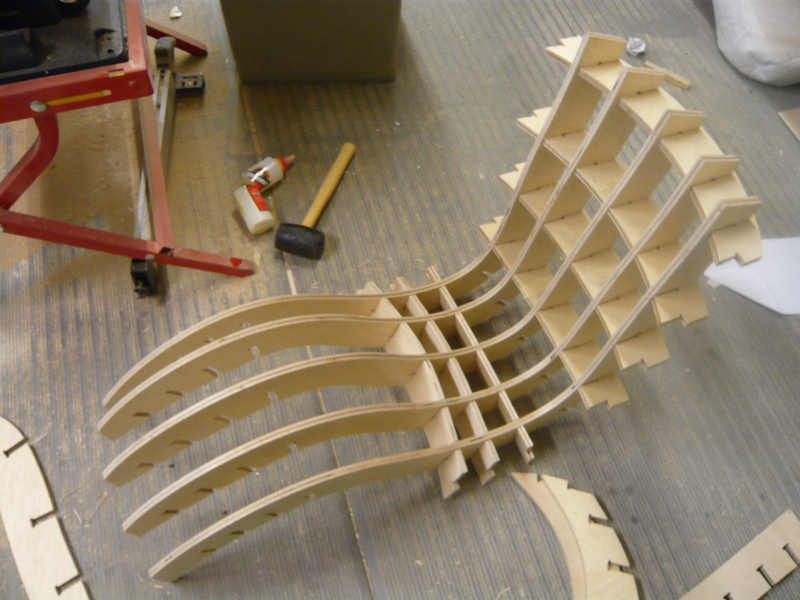 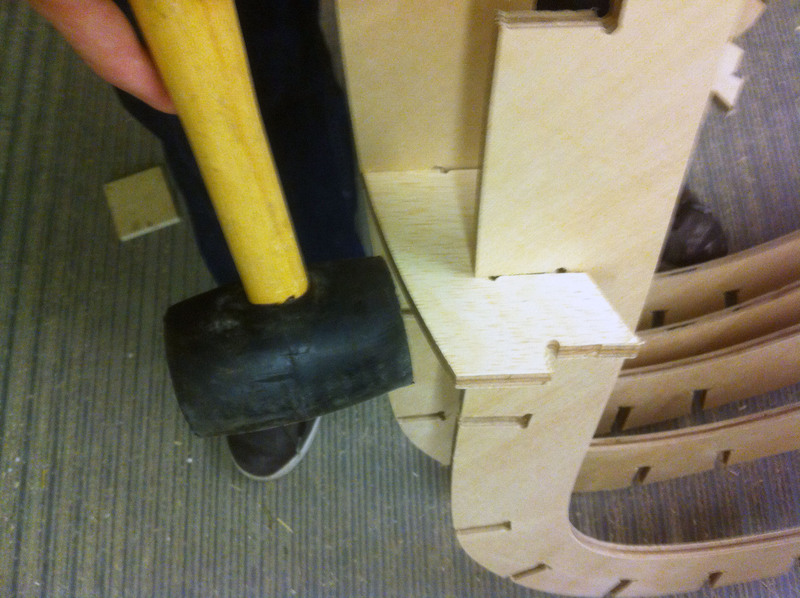 The ribs were fitted from below the curves with the help of a mallet. 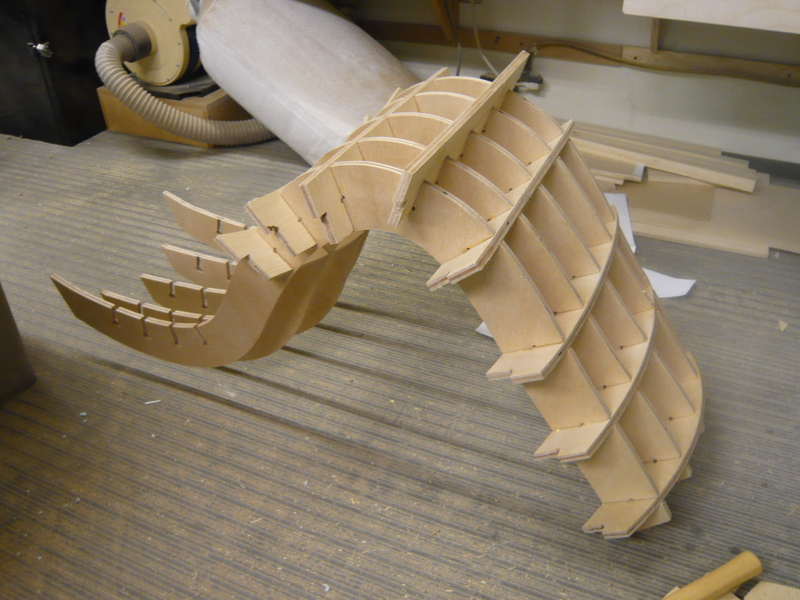 At the point, only the end pieces left to snap onto place. 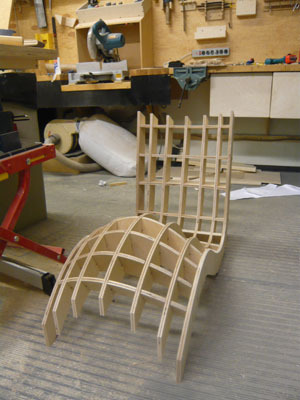 They both acts as frame bracings for the whose grid structure. 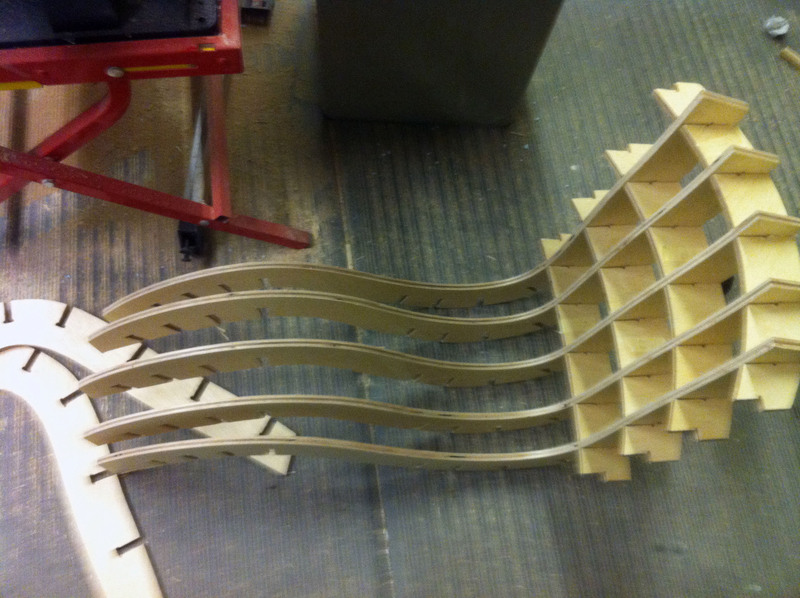 The T-bone corner cuts look visually pleasing on the finished piece. 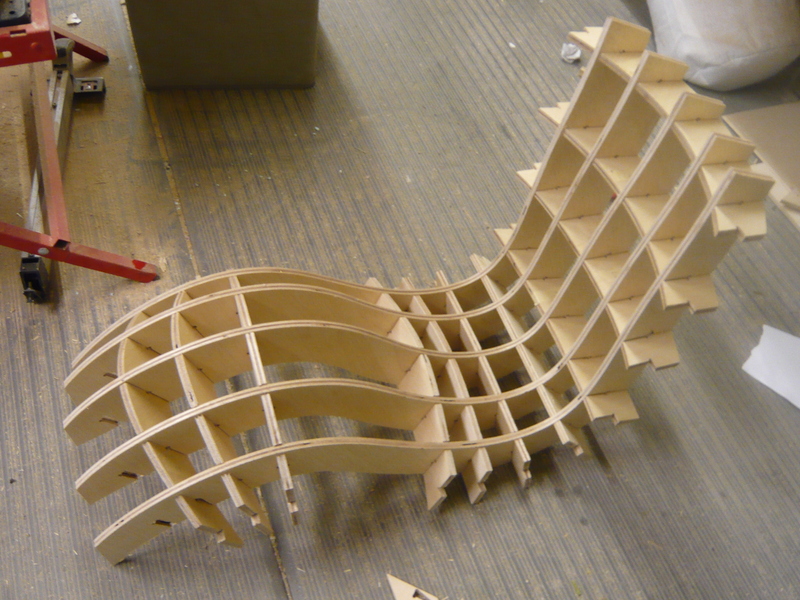 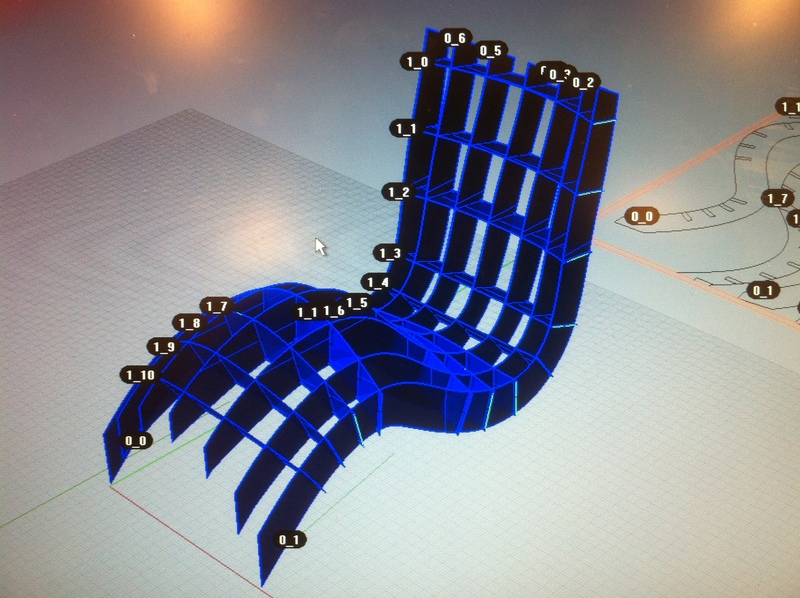 The different density of ribs along the S-curve formulates regions of various flexibility fitting the movement of one sitting on it; notice the top-back part as being flexible whilst the bottom curve and the cup are tighter.